In every episode of myrtle beach TV, we're by the water. We're either at the ocean or the intracoastal waterway, and sometimes both, every week, because being in such close proximity to both ocean and waterway is one of the best things about living in the myrtle beach area. Everyone who lives here isn't more than a short drive from the water (and for some, it's at their back door), and many people spend their weekends on boats, jetskis, or on the beach. We don't currently own a boat, so we rent one occasionally and take it out on the waterway or to a nearby island for a day of taping for the show. During the warmer months we also tend to dine at the waterfront restaurants, and save the inland ones for the colder months ahead. Watch the segment where Captain Ricky Long and his charter group catch an unofficial world record-size black tip shark aboard the New Double R while charter fishing in the waters off our beautiful coast. 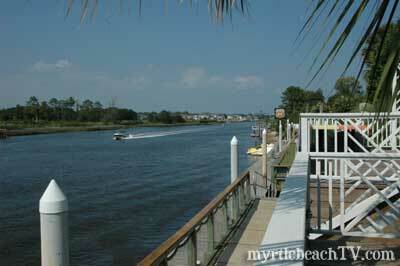 And you can watch all episodes of myrtle beach TV online to see us playing at the ocean and waterway each week.